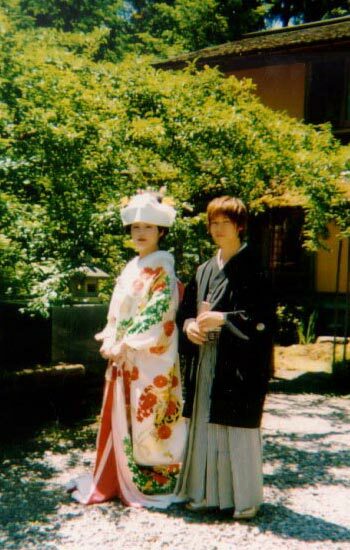 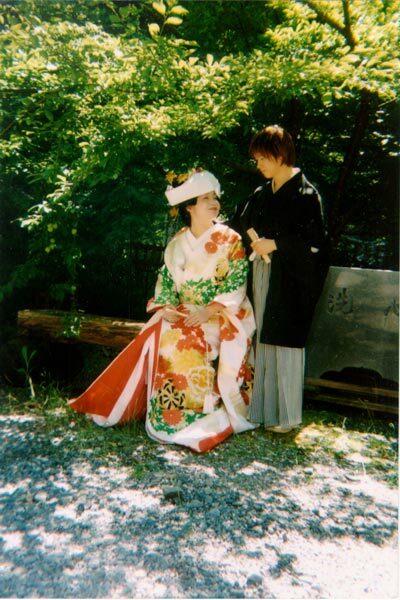 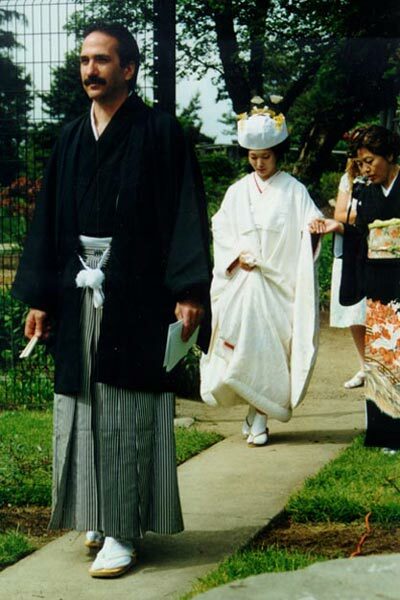 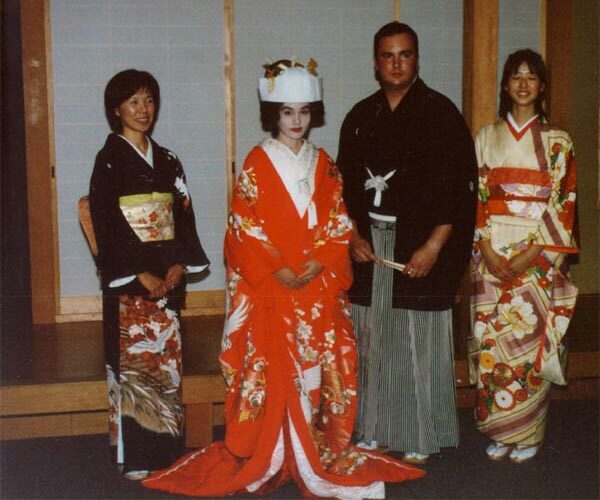 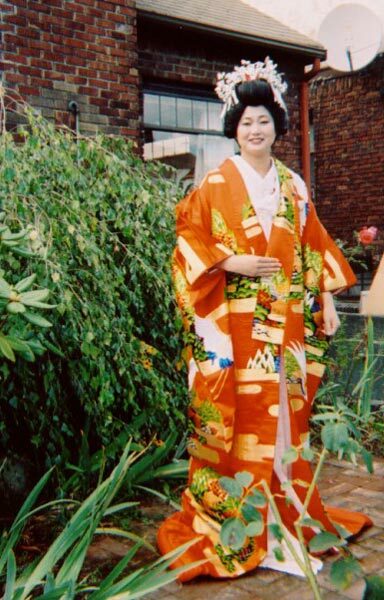 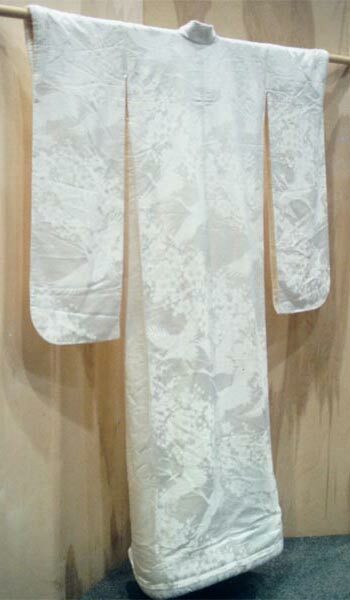 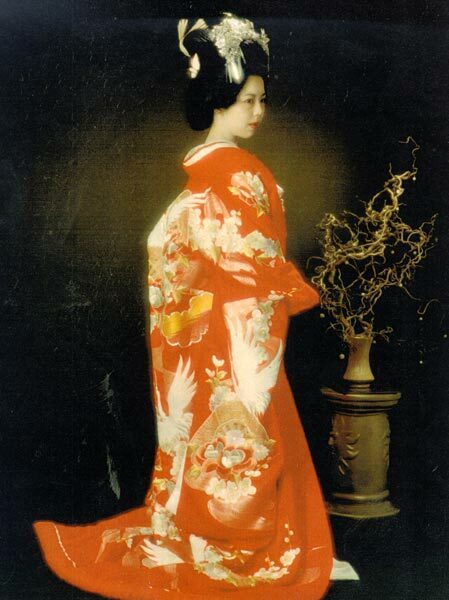 White Uchikake (Shiro-Muku)- Worn by the bride during the wedding ceremony. 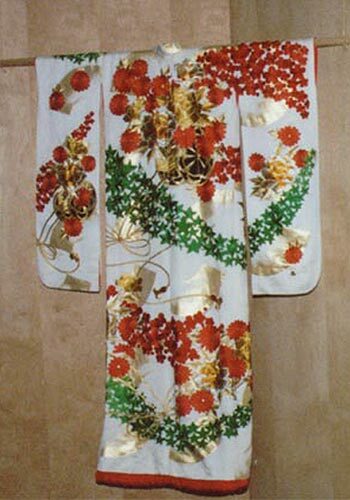 Shiro means white and muku means gown. 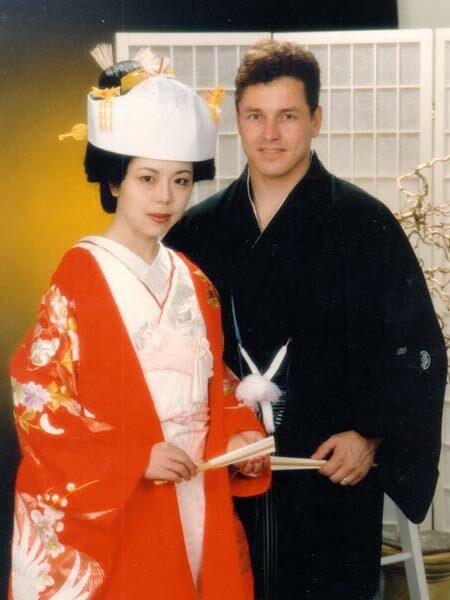 In a traditional Japanese wedding, the bride's hair is also styled in the traditional style called bunkin-takashimada and adorned with beautiful combs and accessories called kanzashi. 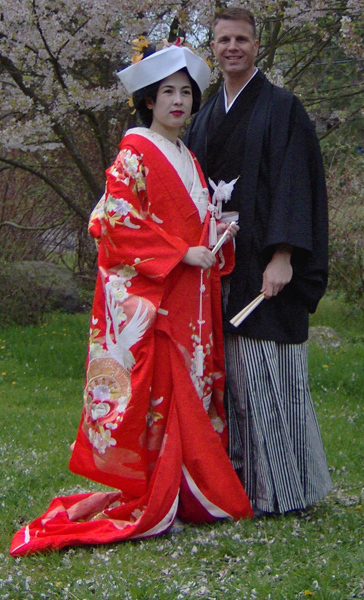 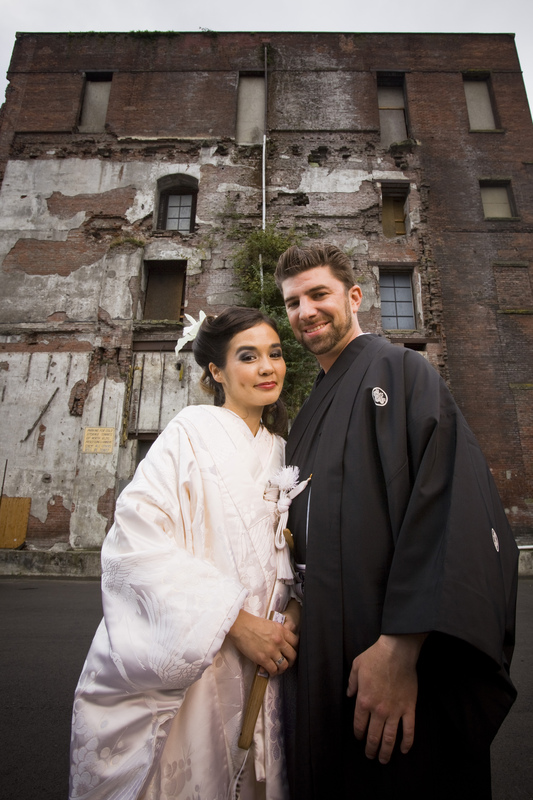 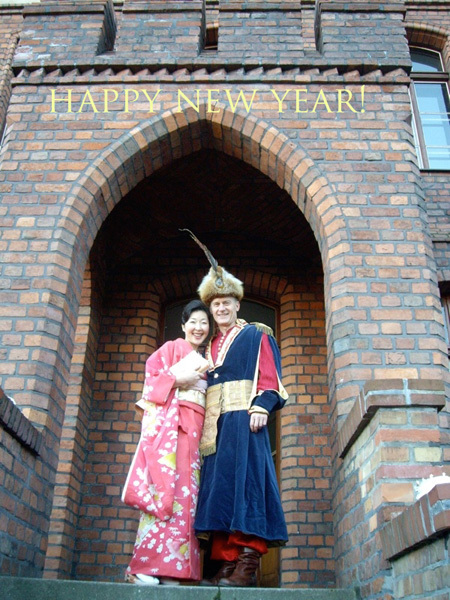 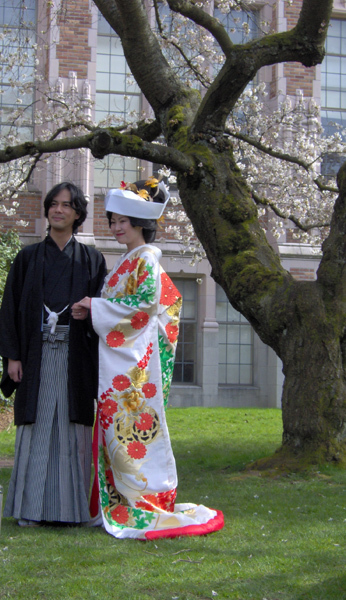 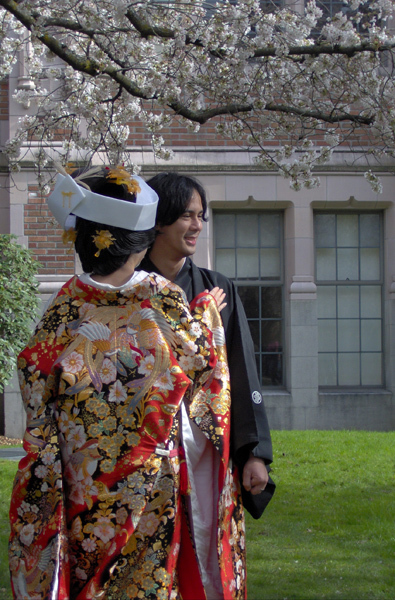 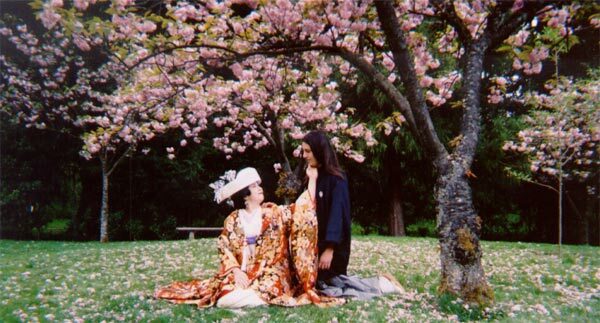 A white wedding hood called tsuno kakushi is meant to hide two front "tsuno" or horns during the wedding ceremony to symbolize obedience. 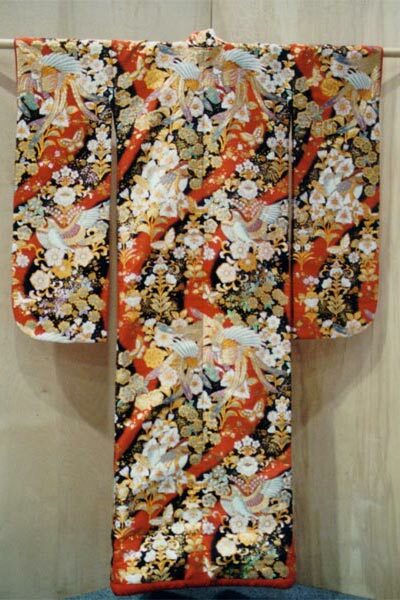 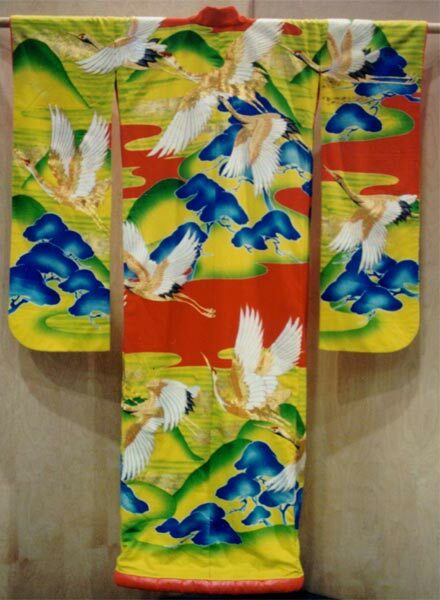 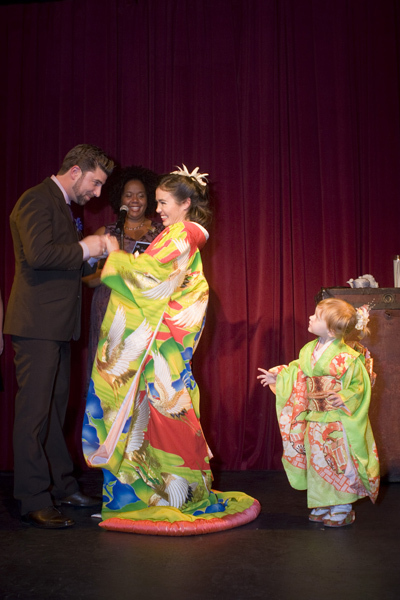 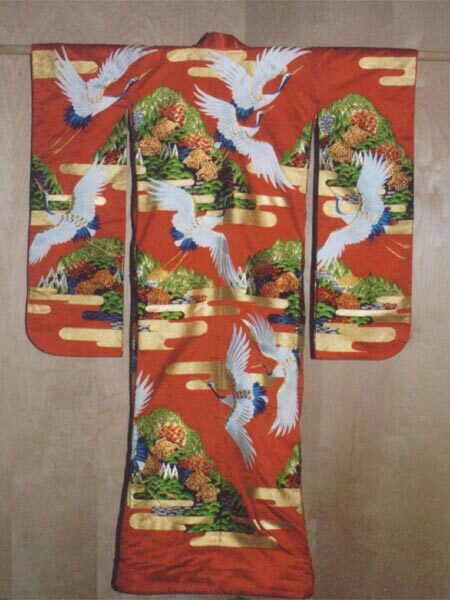 Colored Uchikake - Worn by the bride after the wedding ceremony, during the reception.